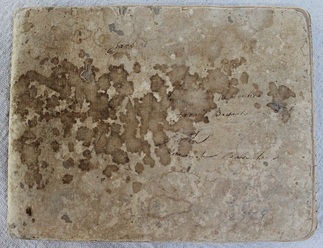 Attached are photographs of the pages of his manuscript, courtesy The Winterthur Library: Joseph Downs Collection of Manuscripts and Printed Ephemera, ﻿Document 1688﻿. Along with each draft is a drawdown prepared by Gay McGeary and a summary of the details about the draft. Click on the drawdown to download the file of information.